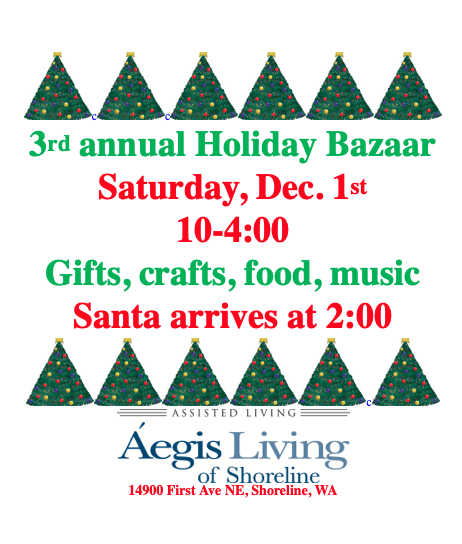 Áegis Living of Shoreline wll hold their third annual Holiday Bazaar showcasing handmade cards, woodworking, photography, jewelry, gifts, Seahawks merchandise, apparel and more! Kamiak High School Barbershop ensemble performs, while Santa pays a visit. Hot cider and cookies will be served. 14900 First Ave NE, Shoreline 98155.